When the machines have plenty of information relating to the mechanisms, the machines with the help of artificial intelligence can act and react like humans. The basic requirements which machine needs from Al are perfectly stored and provided similar those of the human’s basic knowledge. Whereas, when it comes to machine learning, AI plays a vital role in the AI research areas. AI has its effects in all areas of lifestyles whether it’s a fashion industry or technology-based industry. The entire world has become virtually active and that has been beneficial for all the teammates as well. Creativity and technology both are inseparable yet has greater versions of them. Whereas, when you consider AI into creativity technology with ample research and customization it is beneficial for the human fraternity for getting an extraordinary experience. With AI, creating immerse art that shows some astounding results has uplifted virtual reality and AI as an embraced creative evolutions. When you will include AI in your daily routines, you will be able to be headed in the larger area of AI that proves to be very helpful in the coming future. The main aspect of the upbringing of Application of AI is to get an enhanced futuristic goal that enables to reach beyond the human abilities. Even for the home cooking or cleaning, the home robots are the second most powerful targets that are useful in the future. The assistants on the mobile phones that easily detect the voices of the owner and works on the speech, is also amongst the latest specs of the AI. When it comes it cameras and surveillance devices that can hear and see what you can enable you to see whether how one experiences one's lives. The main aim is to make sure that autonomous synthetic devices can give out some extraordinary effects and performances each day. So, the world's strongest powers have withdrawn from the arrangements within the Chinese tech companies and US government agencies that concerns in tech, it can be used in the military forces. Yet both of these sovereign powers may execute AI via algorithm regimes. It would thus affect the rights related to a person’s freedom, privacy or speech. With AI, it is possible to bring ease within the academic and industrial organizations. To bring about the rapid development of AI technology due to its deployment of the framework, that happens due to open collaboration. This might create the reason behind putting up borders around the nations AI development that might get slow. When it comes on dealing with human data, AI is widely spread. Without your thorough understanding whether what it is expected by the fraternity. 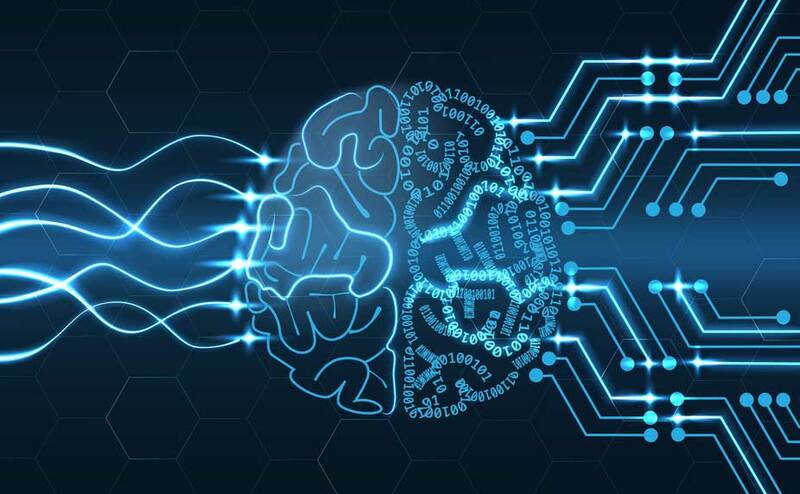 The main aspect of understanding the AI is to initially trust whether what AI will do with the data and whether why it is authorized to take decisions when any issues arrive. Artificial Intelligence is very much useful in terms of attracting connections that can particularly make inferences. Mainly, in 2019 it is expected to see an enhanced measure of increased transparency of AI. With the help and support of IBM with the revelation, it is able to trace the decisions to improvise AI Open Scale technology. This gives an immense concept of real-time insights whether what decisions are being made and how it draws connections between the data that will be used will give potential information. Only in Europe, the GDPR has infused some protective barriers that legally is essential on the lives made by machines. Here transparency is the concern that is likely to grow during the year 2019 that encourages clarity in the public discourse. By launching some global deployment the identification of the areas where whether what AI is being expected, how beneficial it will be and how fast and rapid growth. Routinely machine-learning algorithms parse when you consider whether how financial services have obtained vast real-time thousands of logs that. Whereas, the retailers have their data filled until receipts and loyalty programmes that get better when they keep selling things. It is expected in 2019, to witness an increased smart, predictive and reinforce by picking up some initial deployments. Automation will branch out by supporting the hiring and firing decisions around the logistics. Not only large but also small-scale businesses will also be able to get some of the beneficial services across a number of organizations. Using the older and latest data in increasing their business sales resulted in generating some new revenue streams. In the end, the companies will themselves have got aware of their adoption of strategies as they have now understood the value of the information they own. 2019, will bring a great change in the world of automation and AI that will lead to a massive creation of job opportunities. The technical experts are considering the use of the workforce that will retain the professionals deploy technology to train their workforce. Mostly, everything around the world has started adopting technology and automation as functional management that is done by the machines. AI thus helps in executing certain useful functions from ordering taxis, restaurants or booking your tickets which will be available increasingly and accessible which is beneficial in every nature.